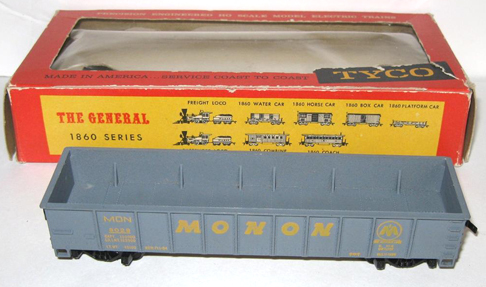 The 1960 through 1965-66 TYCO catalogs list the retail price of $2.29 for this freight car. 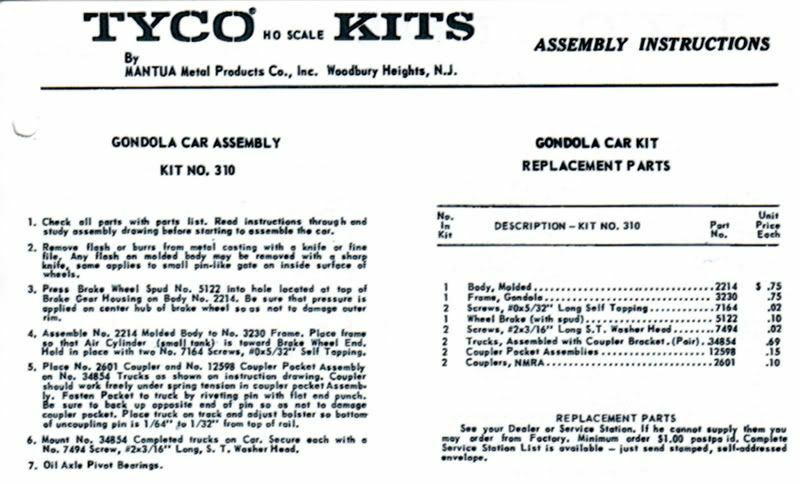 In 1963-64, TYCO adds a gondola car kit, #K310A thru #K310H, for each of the various roadnames available in the ready-to-run model priced at $1.49 each. 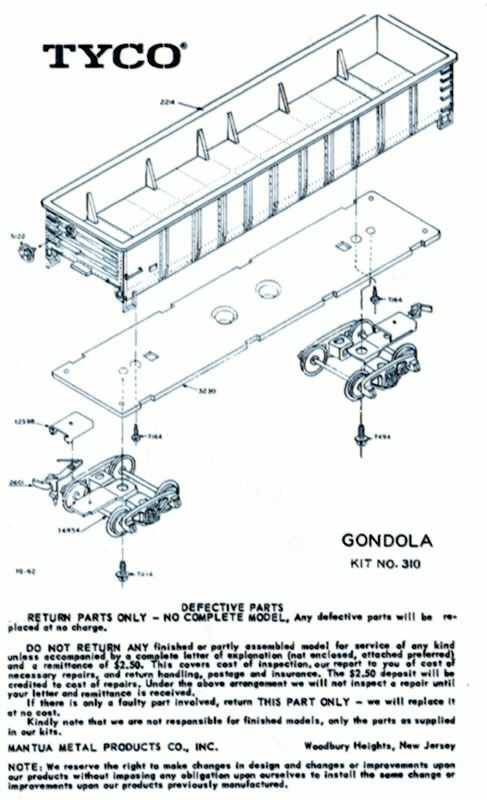 The gondola kit is also found in the 1964-65 catalog priced at $1.49. For 1965-66, the Gondola kit, #K310A thru #K310F, is priced at $1.69 each. Mantua introduces plastic freight cars beginning in 1954. The first three bodystyles made of injection-molded plastic are the company's box car, stock car, and this gondola model.